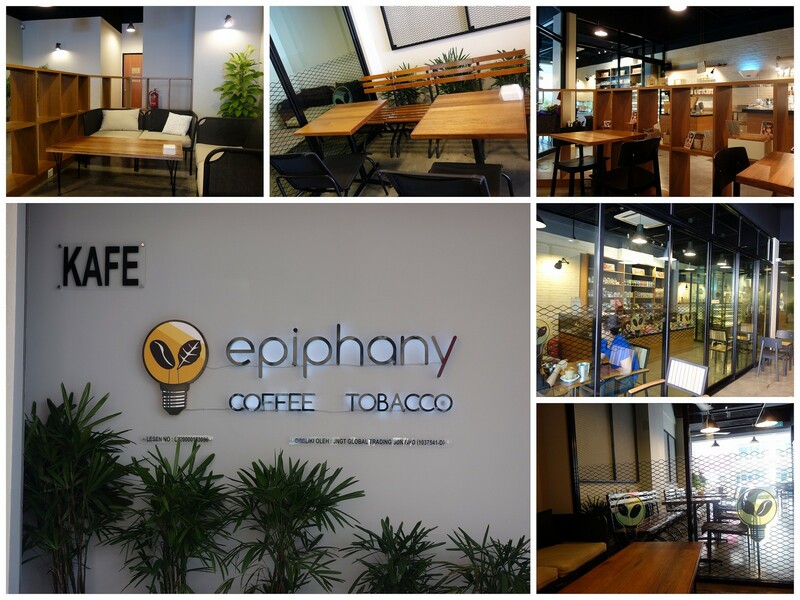 Cured by caffeine: Eureka moments might be challenging to come by without a cup of coffee within reach, a robust reason to visit bean-bountiful cafes like Epiphany at Oasis Ara Damansara & My Espresso in USJ Subang Jaya. 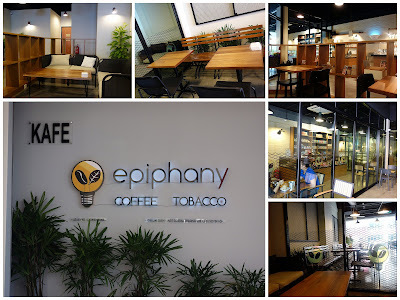 Epiphany uses Rubra beans for cappuccinos, lattes & ristrettos that can be partnered with this cafe's apple strudels, blueberry scones, coconut lemon bars, carrot cakes & chocolate muffins. 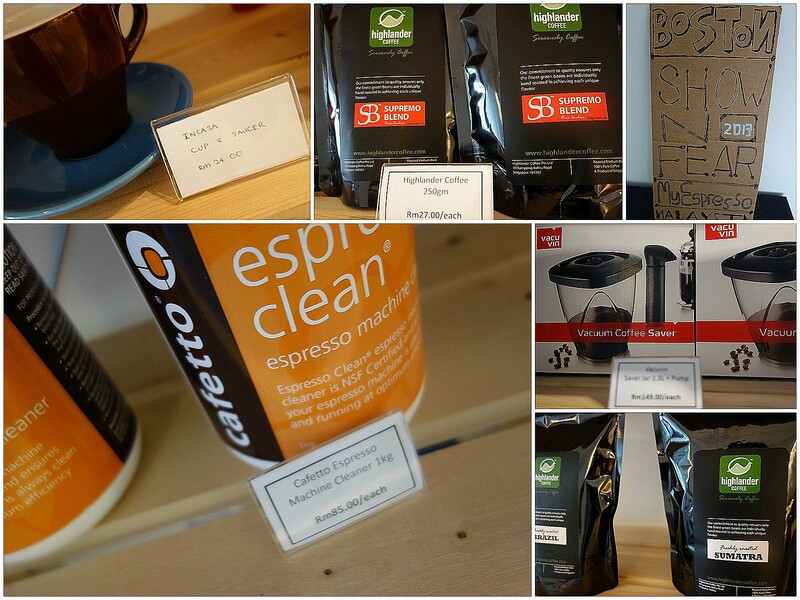 Aug. 16 Edit: Epiphany now uses beans by Malaysian specialty roaster Flightless Mule. We order affogatos wherever we find them. And usually, we love them. 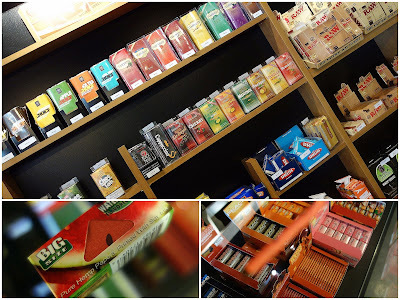 Epiphany is also a tobacco specialist, selling flavored tobacco & rolling paper. 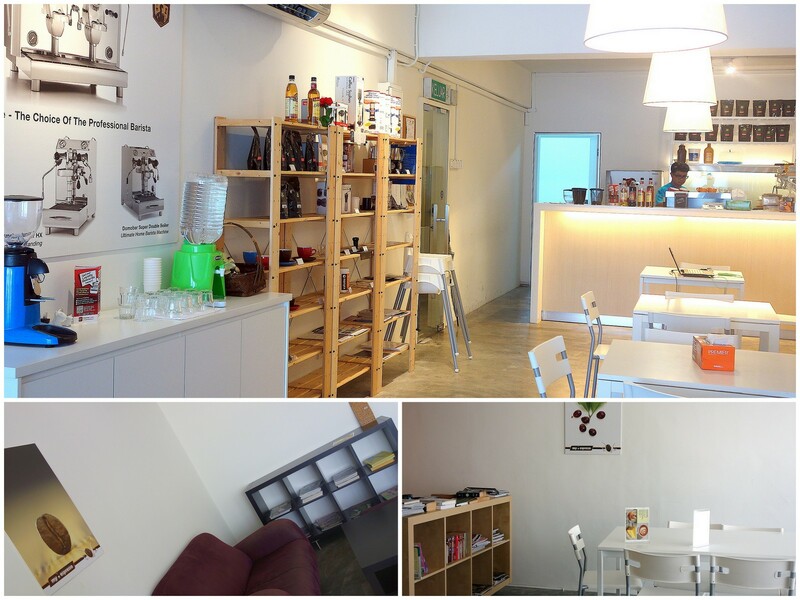 This cafe has three separate spaces: an air-conditioned non-smoking interior, another air-conditioned area for smokers & an alfresco section. Books on Epiphany's shelves include Murakami novels that'll take multiple visits to finish. Serious coffee-seekers might also make the effort to visit MyEspresso, hidden on a shop-house first floor in one of Subang's most far-flung neighborhoods. My Espresso uses Highlander coffee for its brews. Very pleasant indeed. Can't resist the affogato here either, piled with generous scoops of vanilla ice cream. Coffee-making equipment is available for sale at MyEspresso, as well as mugs & saucers. 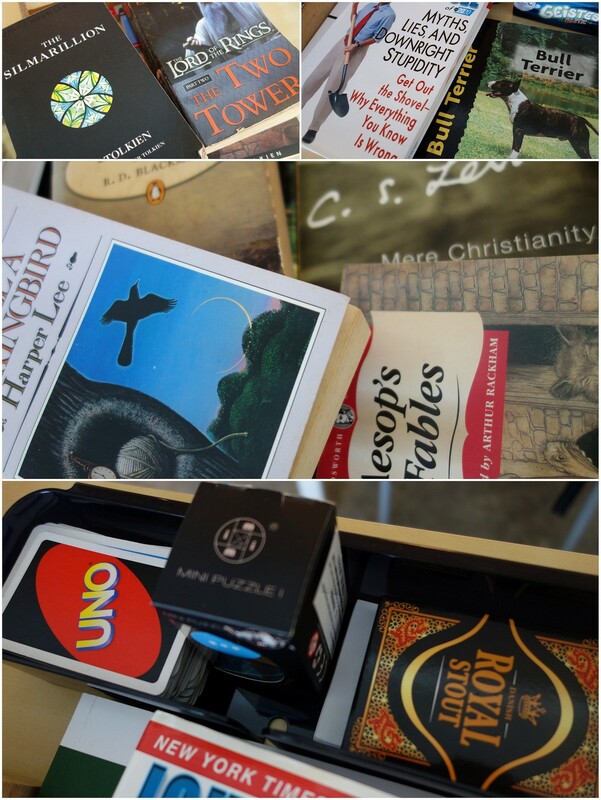 Plenty of books to browse through too (customers can plunge into the entire LOTR saga here), or play UNO perhaps. 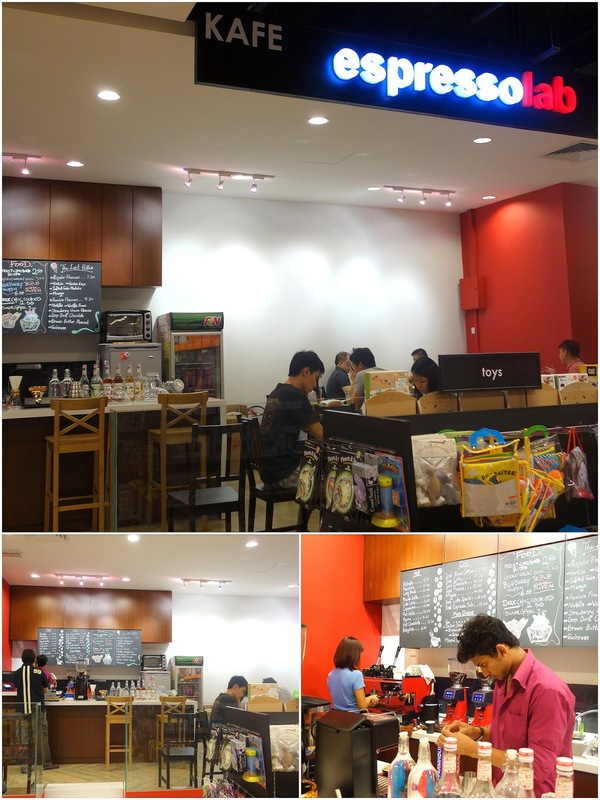 Bonus coffee stop, (much) closer to our workplace: EspressoLab at Pavilion, one of numerous EspressoLabs popping up in malls across the Klang Valley. Have some iced latte with monin syrup or lick up every bit of the affogato (RM14). The coffee looks amazing! I love the decor and feel of this place...and they have books that you can read as well! I find it interesting that they only open at 11 a.m., especially since they serve great coffee! (and Sunday at 2 p.m.) (referring to MyEspresso Cafe). Great review, Sean, thank you so much for sharing! The modern Kopitiam that comes with a price ! Wong: not too high a price, hopefully! I'd like mine black. Had some pretty good coffee when I was in KL but these "branded" ones sure don't come cheap. Oohh...I'd lick up every bit of that affogato too! The last time I walked past espressolab I noticed they have The Last Polka ice cream! Nothing like some coffee to soothe one's gloomy day. =) I'm more of a cappuccino fan, although I don't mind a cup of strong black. It's great to know that some F&B outlets are actually allowing their customers to browse through the ever-growing list of novels and read 'em for free. I, unfortunately, am too hooked on Coffee Bean. 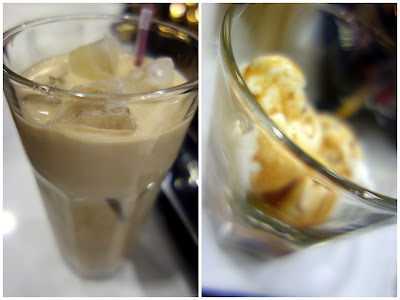 >.<"
Mmmm... affogato one of my favs too. Someone should open a chocolate specialty cafe. good for someone like me. LOL. Theobroma is nothing compared to some places in the US that I read online .. whoa. the cocoa beans sounds jz as complicated as coffee beans! 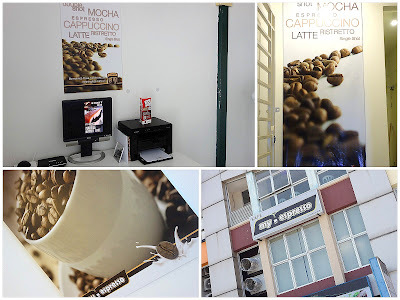 But i guess no one would crave for hot choc as much as coffee cos of the caffeine..
MyEspresso Cafe, really look like one hidden spot! Other than coffee...what is nice? Cakes? Yes to affogatos. Perfect caffeine and some cool fix which is much needed in the current hot spell. Hey Sean, just for clarification, Epiphany uses an independent micro roaster under the name of Flightless Mule. Hi Sean. Yes we have changed our beans! To ensure the freshness of our beans, we've now switched to local specialty coffee roaster, The Flightless Mule Roasters.